$149.99 orig $499-LARGE DAN GUERE MASK!! EARLY 1900S REAL 15" PROV. $139.99 orig $499- DAN WITCHDOCTOR STILT CONE MASK EARLY 1900S REAL 24" PROV. $238.0 Africa Spoon Dan Liberia Ceremonial Womens Spoon 24.5"
$149.99 orig $499-HUGE DAN GUERE MASK, HAIR! !1900S HUGE 16" PROV. 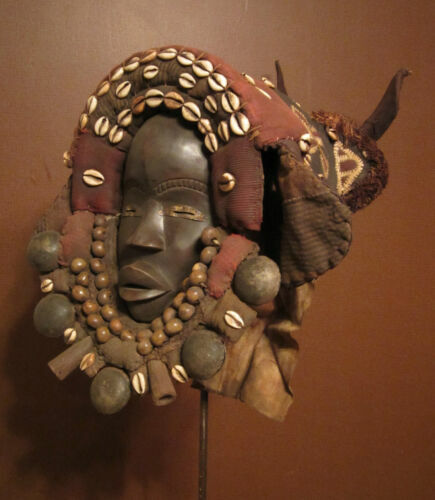 Buy: $1100.0 Mask – Dan (Yacouba / Krahn / Kru / Wee) people, Liberia and Côte d'Ivoire. $129.99 orig $499-DAN GUERE FETISH MASK!! EARLY 1900S REAL 15" PROV. $129.99 orig $499-LARGE DAN MASK! !shells, moustache EARLY 1900S REAL 15" PROV. Buy: $180.0 Vintage Wood African Dan Bird Mask - damaged and discounted!!! 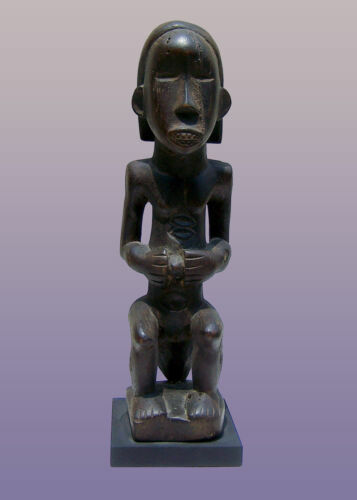 $99.0 Dan Ritual Spoon,African Dan Spoon,Dan Figure,Mask,Collectible Ritual Spoon,18"
$109.0 orig $499 DAN GUERE MASK! !1900S REAL 16" PROV.